Description: Stair nosing profile, made of aluminum, designed to protect and decorate tiled stairs. Its design, with a hidden hollow, allows the installation of any LED strip chosen by the installator without need of difusor, providing the profile with a high decorative value. 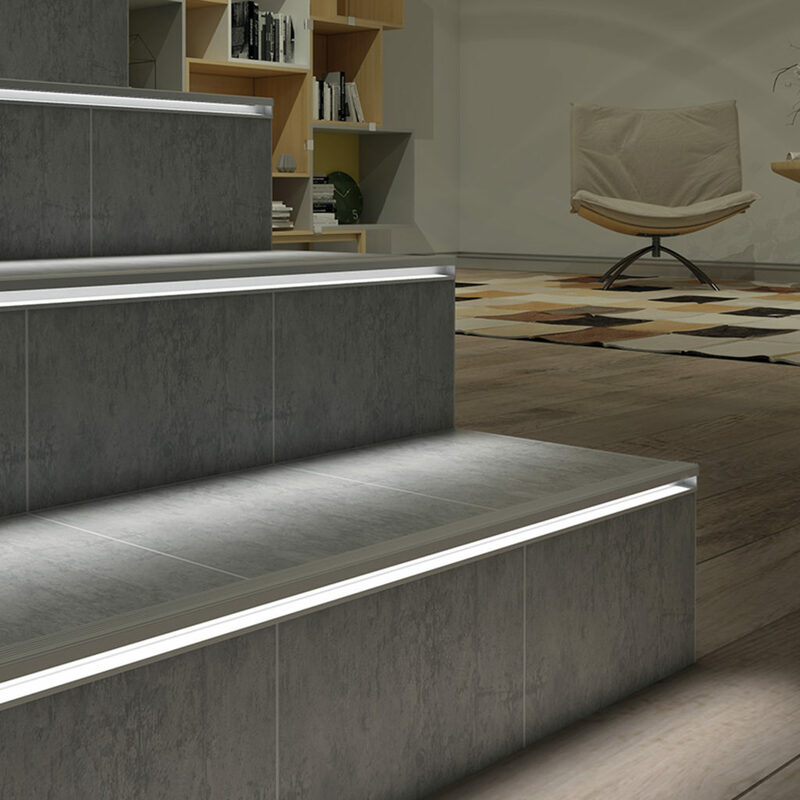 Its visible side improves the slip resistance value of the stair. Thanks to its geometry, the slight slope allows the evacuation of water outside, avoids the accumulation of dirt and makes easy the cleaning. Novopeldaño Eclipse® is a LEd solution in one piece with easy and fast installation. Novopeldaño Eclipse® has a special cover available to get a perfect installation.